Donald Biggar Willett Professor of Engineering Coordinated Science Laboratory, Electrical and Computer Engineering and Computer Science Depts., and Information Trust Institute University of Illinois. The vision for a modernized "Smart Grid" involves the use of an advanced computing, communication and control cyber infrastructure for enhancing current grid operations by enabling timely interactions among a range of entities. The coupling between the power grid and its cyber infrastructure is inherent, and the extent to which the Smart Grid vision can be achieved depends upon the trustworthiness of its cyber infrastructure. This talk describes challenges in assuring the trustworthiness (performance, dependability, and security) of the emerging smart grid, using example of research underway at the DOE- and HHS-funded Trustworthy Cyber Infrastructure for the Power Grid (TCIPG) Center. The goal of TCIPG is to provide trustworthiness in the nation's electric grid cyber infrastructure such that it continues to deliver electricity and maintain critical operations even in the presence of cyber attacks. Achieving this goal will involve the extension, integration, design, and development of IT technologies imbibed with key properties of real-time availability and security. This research area provides many opportunities for performance analysts and engineers to apply and extend their research. William H. Sanders is a Donald Biggar Willett Professor of Engineering and the Director of the Coordinated Science Laboratory (www.csl.illinois.edu) at the University of Illinois at Urbana-Champaign, and was the founding Director Of the Information Trust Institute (www.iti.illinois.edu). He is a professor in the Department of Electrical and Computer Engineering and Affiliate Professor in the Department of Computer Science. He is a Fellow of the IEEE and the ACM, a past Chair of the IEEE Technical Committee on Fault-Tolerant Computing, and past Vice-Chair of the IFIP Working Group 10.4 on Dependable Computing. Amnon Naamad, Senior Director of Innovation, EMC, USA. Recent new technologies and paradigm shifts in the IT business make the role of performance engineers significantly more challenging than any other time in the past. Flash technology, virtualization, and Cloud computing provide new options for performance optimization; however, materializing the potential of these technologies in a predictable and cost effective manner is a challenge. New performance management software and planning tools that are based on scientific research and analysis are required to meet the new expectations that users have. The presentation will discuss some of the new technologies, their potential impact on IT, the tools that are being developed to exploit the technologies and some of the open questions still remaining. In particular, the presentation will focus on the subjects of Tiered Storage, Performance in Cloud environments, and proactive performance management. Amnon Naamad is an EMC Fellow serving as the manager of the Innovation and Systems Engineering team and the CTO of the Enterprise Storage Division (ESD). Amnon is responsible for generating, collecting, analyzing, and promoting innovative ideas to enhance EMC Symmetrix functionality and performance, and assisting with the translation of these ideas into products and solutions. Amnon joined EMC in 1997, and shortly thereafter became the Manager of Symmetrix Performance Engineering. In April 2006, he was promoted to lead the Innovation and Systems Engineering Group within Symmetrix Engineering. 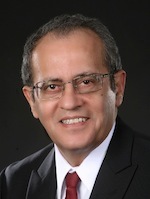 Prior to EMC, Amnon was the CTO of I-Logix, where he led the development of the simulation, analysis, and automatic code generators of Statemate. Amnon along with colleagues at I-Logix received the ACM Software Systems Award for 2007, ACM SIGSOFT Impact Paper Award for 2008, and the ICSE Most Influential Paper Award for 1998. Previous to I-Logix, Amnon held a variety of positions in the high-tech industry as a lead developer. This includes development of software for processing images taken from CAT scanners and software for Optical Character Readers. He also worked in academia teaching Computer Science classes at Tel Aviv University and a class at Brandeis University. He also served four years of active military service in the Israeli Defense Forces. Amnon holds B.S. and M.S. degrees in Mathematics from Tel Aviv University, and a Ph.D. in Computer Science from Northwestern University. His areas of research included the Design and Analysis of Algorithms, Graph Theory, Computational Geometry and Software Engineering.